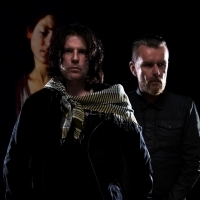 English rock/goth-rock band formed in the '80s, reformed in 2006 and featuring Ian Astbury - lead vocals, Billy Duffy - guitar, Chris Wyse - bass and John Tempesta - drums. They were called Death Cult and Southern Death Cult during their earlier incarnation, switching to The Cult in 1984. They released their debut album, "Dreamtime" in 1984, followed by: "Love" (1985), "Electric" (1987), "Sonic Temple" (1989), "Ceremony" (1991), "The Cult" (1994), "Beyond Good and Evil" (2001), "Born into This" (2007), "Choice of Weapon" (2012), plus 2016's: "Hidden City".